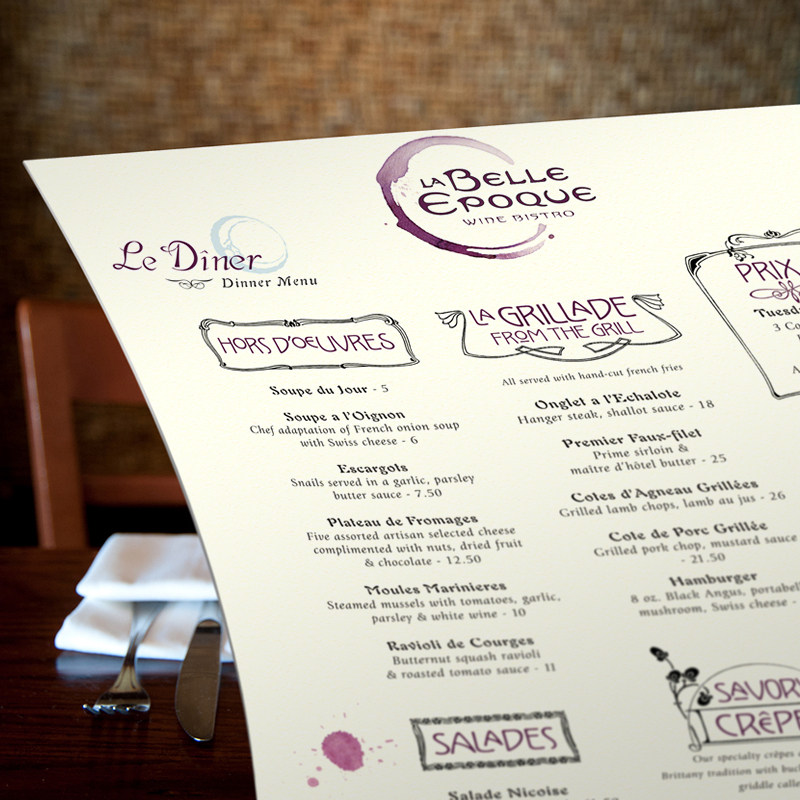 Fitting for a French bistro, the oversized menus peppered with wine stains celebrate the freedom and organic expression of this refined cuisine. 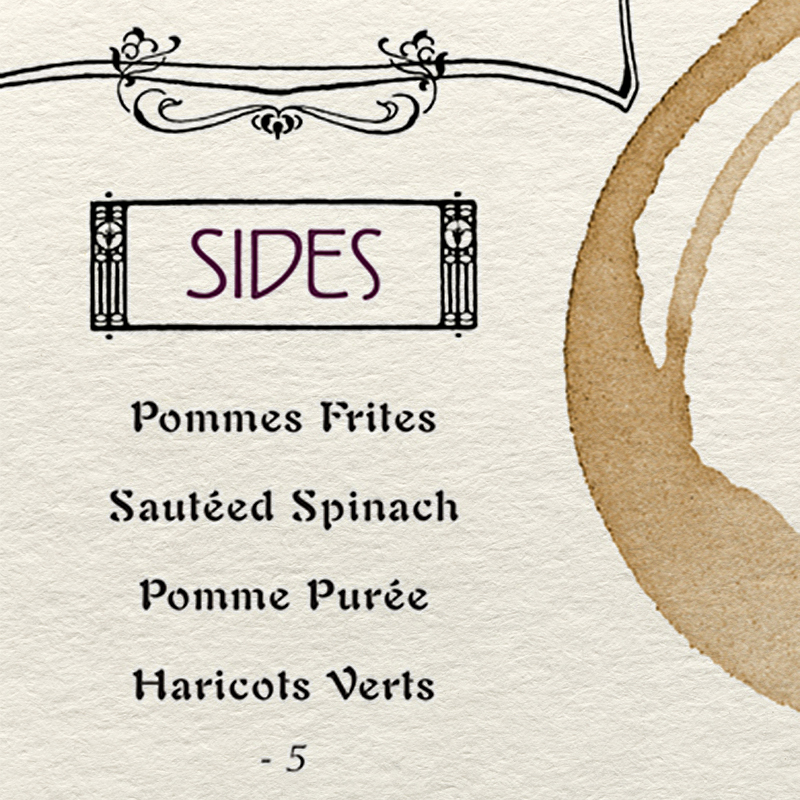 The brunch menu gets a different stain with coffee and art nouveau accents. 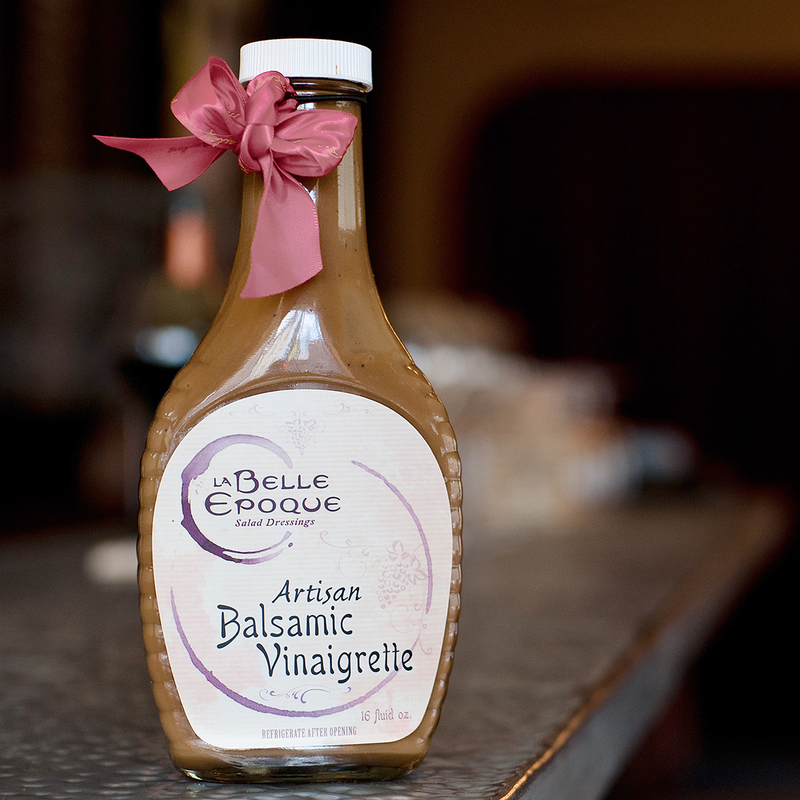 Back by popular demand, La Belle's signature salad dressing is the first in a long line of gourmet preparations. Named after the famous Art Nouveau design period at the start of the 1900s, this authentic French restaurant required a handcrafted nouveau typography and expressive wine stain to match its lively focus on wines. 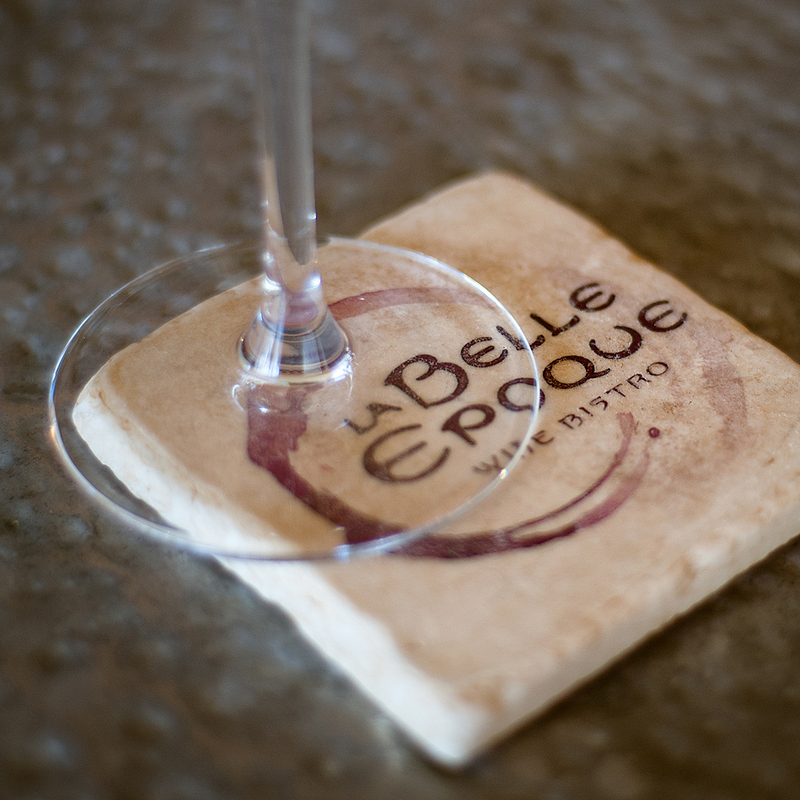 Countless glasses of burgundy were spilled onto handmade paper to capture just the right rings. Flourishes and type variety enhance the bistro feel while creating a modular system for seasonal updates.